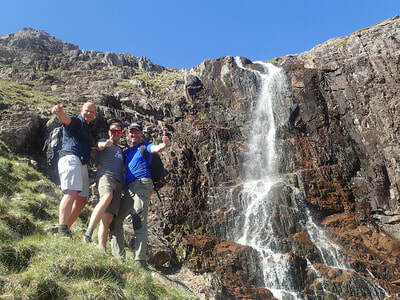 Discover the beauty, majesty and history of Scotland's most famous glen on one of our Glen Coe guided walks. 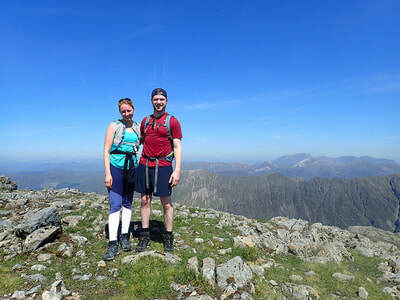 Summit the UK's most distinctive and recognisable mountain, discover the valley where the MacDonald's of Glen Coe hid their rustled cattle, or gaze across to Ben Nevis from the "Peak of the Mountains". No matter what your ability or experience, there is a walk in Glen Coe that will give you the most memorable and rewarding day out. If you don't already have a peak or route in mind, your guide will have a chat about what you would like to get out of your day and together decide on a goal to suit your aspirations and the conditions. 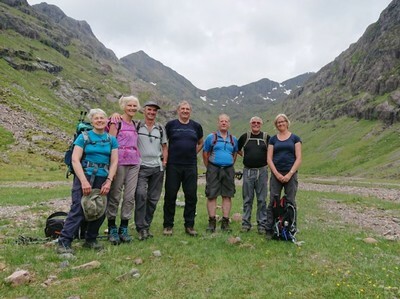 Glen Coe walks are available with a private guide on any day of the week so get in touch to check our availability and make a booking. If you are interested in doing a walk in Glen Coe in winter take a look at our Winter Munro Bagging page for price and more information. The weather on Ben Nevis can change in a matter of minutes. Rain is common and it can regularly feel as cold as -10 degrees Celsius on the summit, even in the summer. Make sure you are ready for your day by packing the items on the list below.